What's this? a bakery inside that vacant building. I need to check this out. Every week day morning I take the train into Portland and would always wonder what was going to go into that vacant building. Then one morning a bakery appeared. Well, I finally went in. 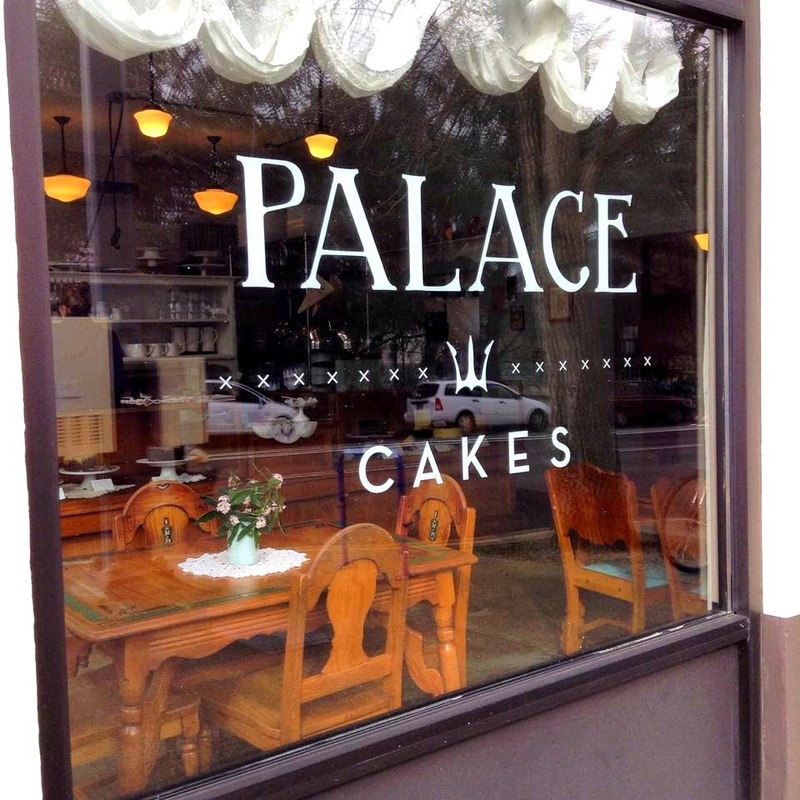 I had seen on Palace Cakes Facebook page that they had carrot cake in the case. 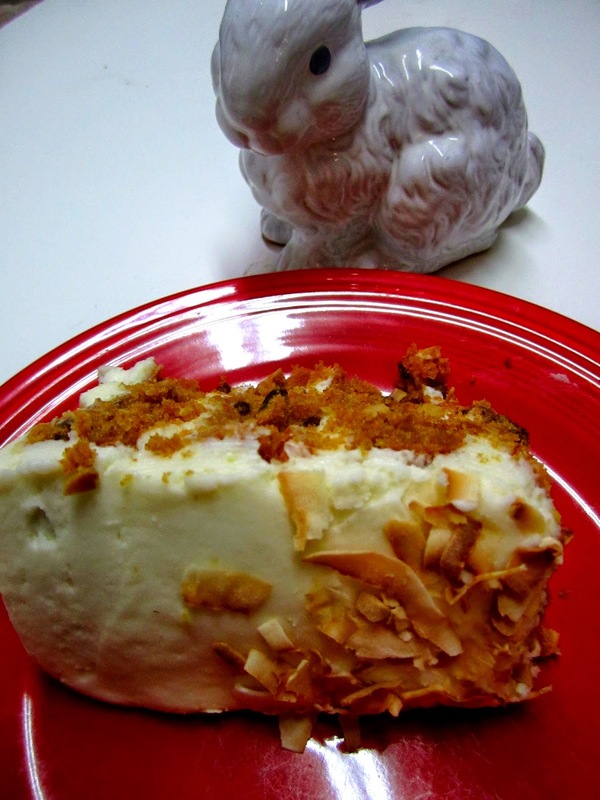 My man loves carrot cake so I walked up to get him a slice. Oh my, look at all those delicious cakes. 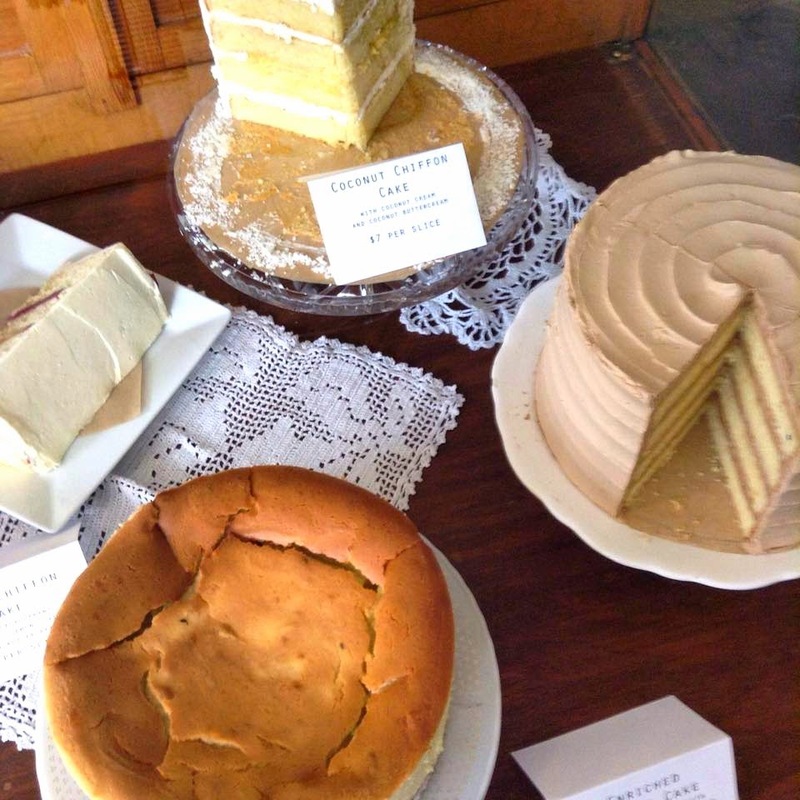 Coconut Chiffon, Enriched Uranium, and a Lemon Chiffon. 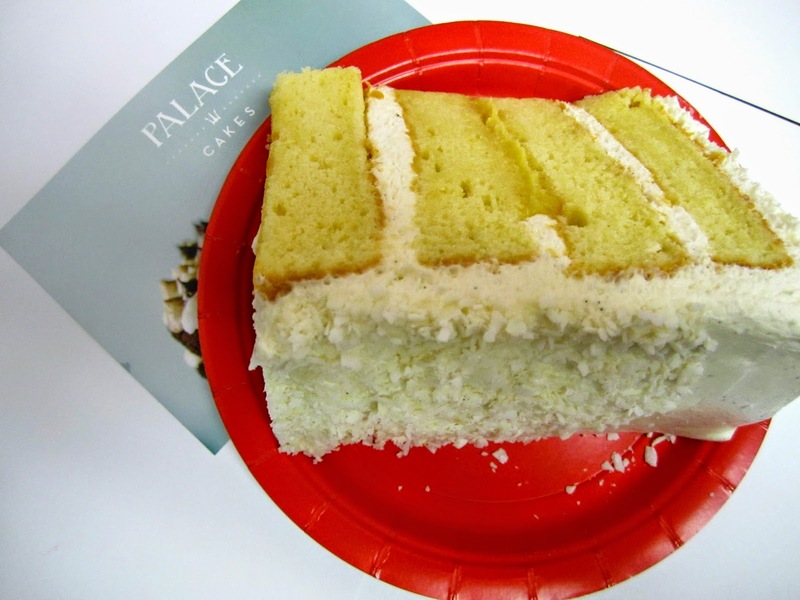 That lemon cake looked really good but I went for a slice of coconut for me. Marcus sliced off generous size pieces while telling me about the cakes. He was very informative, friendly and you could tell was passionate about Palace Cakes. 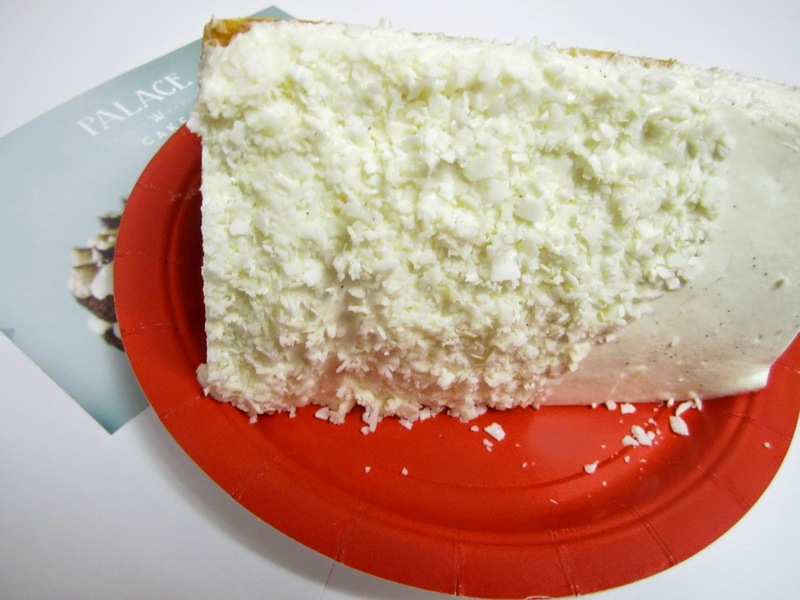 He told me the coconut cake didn't really taste like a Mounds coconut but more like freshly shaved coconut. He was so right. Look at that beautifully shaved coconut skirting the cake. Onto the carrot cake. 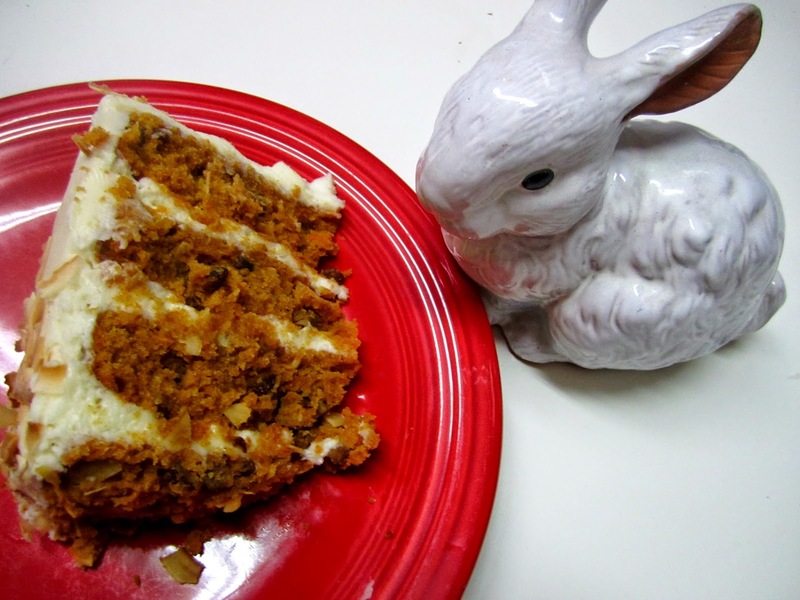 I'm not a carrot cake fan , even though I love carrots fresh out of the garden, but I tried some. I can't very well do a review if I don't try it right. I was pleasantly surprised. This was really good carrot cake. Very moist, fresh carrot flavor but not overwhelming and the frosting had a great spice bite at the end. I asked my man what he thought of the cake and he didn't say much. He didn't have too. His empty plate said it all. 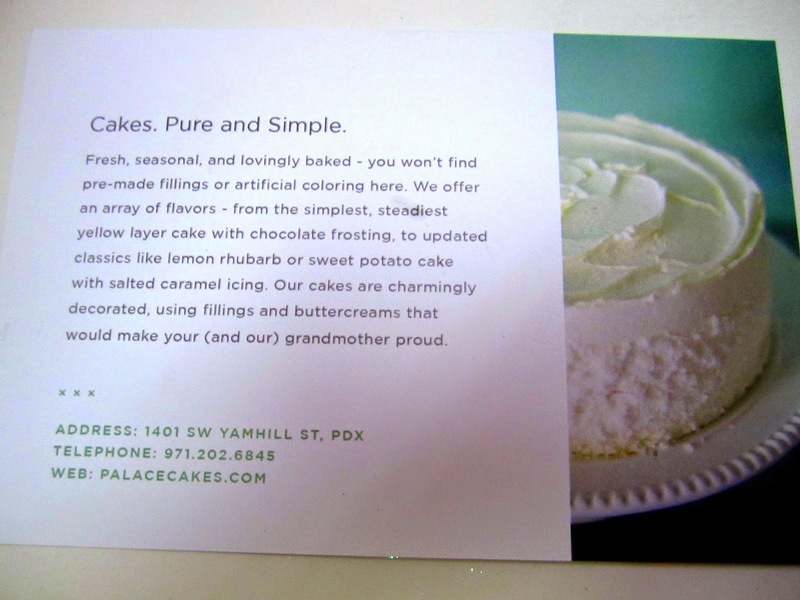 If you live in the Portland metro area I highly recommend visiting Palace Cakes. I plan on keeping an eye on their Facebook and Instagram so I can see what will be gracing their case that day.